Paving stones honouring the heroic actions of two First World War Glaswegian soldiers were today (1 July 2016) unveiled on the 100th anniversary of their acts of valour. Sergeant James Turnbull and Drummer Walter Ritchie both received the Victoria Cross for their bravery during the first day of the Battle of the Somme on 1 July 1916. Centenary Victoria Cross commemorative paving stones were unveiled during separate ceremonies for each soldier outside the People's Palace on Glasgow Green. While Drummer Ritchie survived the First World War, served for another 11 years in the army, married and raised a family; tragically Sergeant Turnbull was killed by a sniper's bullet only hours after his act of bravery, aged just 32. The Lord Provost of Glasgow Sadie Docherty, who led both ceremonies, was joined by representatives of the families of both men. The Lord Provost said: "It is a huge privilege to be here to remember two very brave Glaswegians. "Sgt Turnbull and Drummer Ritchie showed extraordinary courage during a day described as the bloodiest in the history of the British Army. "One hundred years ago the heroism of both men was very well documented by the media in our city and beyond. Today, we hope that by unveiling these commemorative paving stones we will ensure their story isn't forgotten for this generation and generations to come. "I am particularly pleased that their families are able to take part in these ceremonies - and to be able to express to them the city's gratitude, and my own." The Victoria Cross is the highest award for gallantry British or Commonwealth service personnel can receive. As part of the commemorations of the centenary of the First World War, the UK government decided to lay paving stones in the home towns of each UK VC recipient on or near the date of their act of gallantry. UK Communities Minister Baroness Williams said: "The stones laid in honour of Walter Ritchie and James Turnbull provide a lasting legacy to their bravery and will enable residents of Glasgow and Scotland to gain a greater understanding of how local heroes played a key role in the history of the First World War. "They both carried out astonishing acts of valour in service of their country and we all owe a huge debt to those brave heroes like Walter and James. "They are just as inspirational now as they were a century ago." David MacLeod was unable to attend the ceremony, but was represented by his children Helen and Ewan. Mr MacLeod said: ""We are very proud of my great-uncle's amazing courage and valour during the First World War. "It is wonderful that the city of his birth is remembering him both on the 100th anniversary of his act of bravery for which he received the Victoria Cross and also the date of his untimely death at 32 in the Battle of the Somme." Walter Ritchie, the grandson of Drummer Ritchie, said: "It is nice that my grandfather is being remembered with this paving stone all these years later. "It is befitting that it is so for a brave man, who was willing to sacrifice himself to rally his fellow soldiers in the face of enemy machine gun and cannon fire. My grandfather always felt he was just doing his duty." The Battle of the Somme, which lasted four and a half months, is one of the most famous military events in British history - synonymous with huge loss of life and costly failure. While 1 July 1916 was the bloodiest day in the history of the British Army, with a total of 19,240 British soldiers losing their lives, it is also recognised as a day of extraordinary gallantry. The first ceremony unveiling and wreath laying was for James Turnbull, who was born in Glasgow on Christmas Eve 1883. 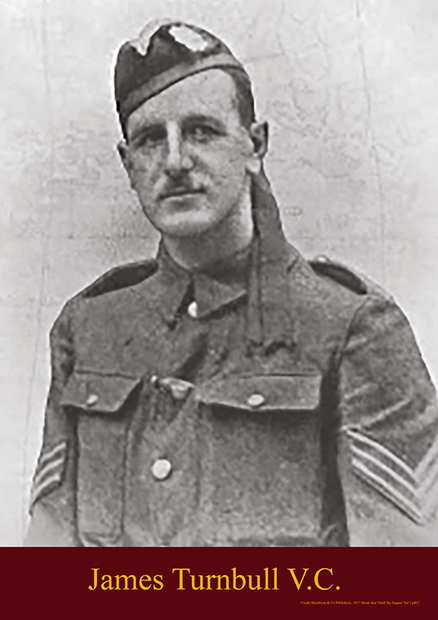 He was a sergeant in the 17th Battalion (Glasgow Commercials) of The Highland Light Infantry, fighting in France during the First World War. This battalion was formed by the Glasgow Chamber of Commerce and the current President of Glasgow Chamber of Commerce Neil Amner was in attendance at today's ceremony along with officers of The Royal Highland Fusiliers, 2nd Battalion the Royal Regiment of Scotland (2 SCOTS). In an extraordinary coincidence, the great-nephew of Sgt Turnbull was only recently traced after contacting Colonel Bobby Steele, a retired colonel who is Regimental Secretary of the Royal Highland Fusiliers in Glasgow; who was heavily involved in arranging the ceremony for Sgt Turnbull. Walter Potter Ritchie was born in Glasgow on 27th March 1892 to Helen and Walter snr, a blacksmith. Having already been a boy drummer in the Royal Scottish Rifles, Walter joined the 2nd Battalion, Seaforth Highlanders in 1908 and at the outbreak of the War in 1914 was posted to France as part of the British Expeditionary Force (BEF). More than 50 members of the Ritchie family attended the service along with officers from the 2 SCOTS. There were 627 individuals who received the VC during the First World War, although in total 628 VCs were awarded. This is because one individual, Noel Chavasse, was awarded the VC twice during the First World War. Of these individuals, 361 were born in England, 70 were born in Scotland and 16 were born in Wales. 35 were born in pre-partition Ireland and 145 were born in other countries overseas. In total 469 stones will be laid in communities in England, Wales and Scotland and Northern Ireland. 145 stones will be laid in the National Memorial Arboretum in March 2015 to commemorate those born overseas. The programme will also see 35 VC recipients commemorated in the Republic of Ireland. On 1 July 1916, Sgt Turnbull was awarded the VC for his actions at Leipzig Salient, Authuille, France, where his party captured a post of apparent importance, and defended it "almost single-handed". Later in the day he was killed by a sniper's bullet while engaged in a bombing counter-attack. He was 32-years-old and is buried at Lonsdale Cemetery in Authuille. He played rugby for Cartha Queens Park RFC and is remembered on the club's First World War memorial and on their website. Sgt Turnbull's father and sister received his VC at Buckingham Palace in 1917 and invited his old comrades to view it in Glasgow. The Outpost, magazine of the 17th Battalion, wrote: "Without worrying... about anyone of higher rank he took charge of the whole operations around in his immediate storm centre... he won his honour dearly". Sgt Turnbull's citation for the Victoria Cross in The London Gazette read: "For most conspicuous bravery and devotion to duty, when, having with his party captured a post apparently of great importance to the enemy, he was subjected to severe counter-attacks, which were continuous throughout the whole day. "Although his party was wiped out and replaced several times during the day, Sergeant Turnbull never wavered in his determination to hold the post, the loss of which would have been very serious. Almost, single-handed, he maintained his position, and displayed the highest degree of valour and skill in the performance of his duties. Later in the day this very gallant soldier was killed whilst bombing a counter-attack from the parados of our trench." Having survived the second battle of Ypres in 1915, Walter Ritchie was at Beaumont Hamel for the first day of the Battle of the Somme. The Seaforths were advancing against German positions at Beaumont Hamel, but by midday shortages of ammunitions had forced a disorganised retreat. Drummer Ritchie had been wounded in the knee, but as an interviewer later put it: "He raced through the Germans' deadly fusillade and, mounting the enemy parapet, sounded the charge". His father was caretaker of the Canal Boatmen's Institute in Port Dundas, Glasgow and it was at his home there that journalists broke the news of Ritchie's VC to his parents. Press reports at the time read: "Like a bombshell, Mrs Helen Ritchie made the chance remark that Walter had been court-martialled for dropping and losing his drum in action and picking up a rifle." 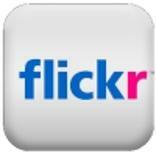 Mrs Ritchie assured the press that the reprimand was a formality. He had in fact disregarded regulations about taking instruments into the trenches and he himself later commented that had things gone the other way, he would have been court-martialled, not decorated. 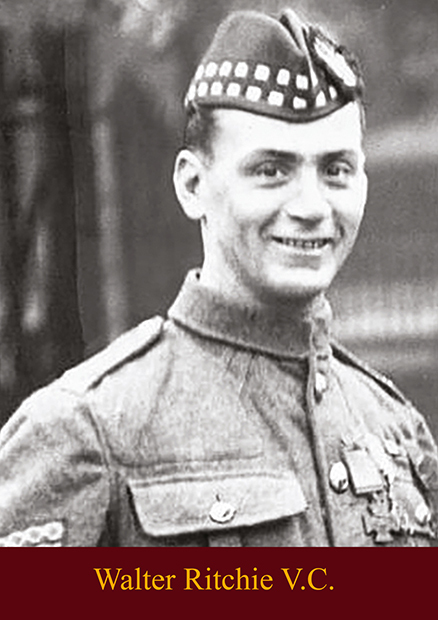 Ritchie's citation for the Victoria Cross in The Edinburgh Gazette read: "For most conspicuous bravery and resource, when on his own initiative he stood on the parapet of an enemy trench and under heavy machine gunfire and bomb attacks, repeatedly sounded the "charge", thereby rallying many men of various units who, having lost their leaders, were wavering and beginning to retire. "This action showed the highest type of courage and personal initiative. Throughout the day Drummer Ritchie carried messages over fire-swept ground, showing the greatest devotion to duty." After receiving his VC at Buckingham Palace, Drummer Ritchie was reticent about his bravery, often saying: "I like to forget about these things this side of the Channel." Walter Ritchie married in 1919, and continued to serve the army until 1929, retiring as a drum major, after which he became a school attendance officer in Glasgow. He rejoined a territorial unit as a senior non-commissioned officer during the Second World War and worked in a Glasgow army recruiting office. He died in Edinburgh in 1965.